Christmas isn’t the same without cookies. Now we tried to use our favorite recipe and turn it gluten free. It took us several years, but here it is. 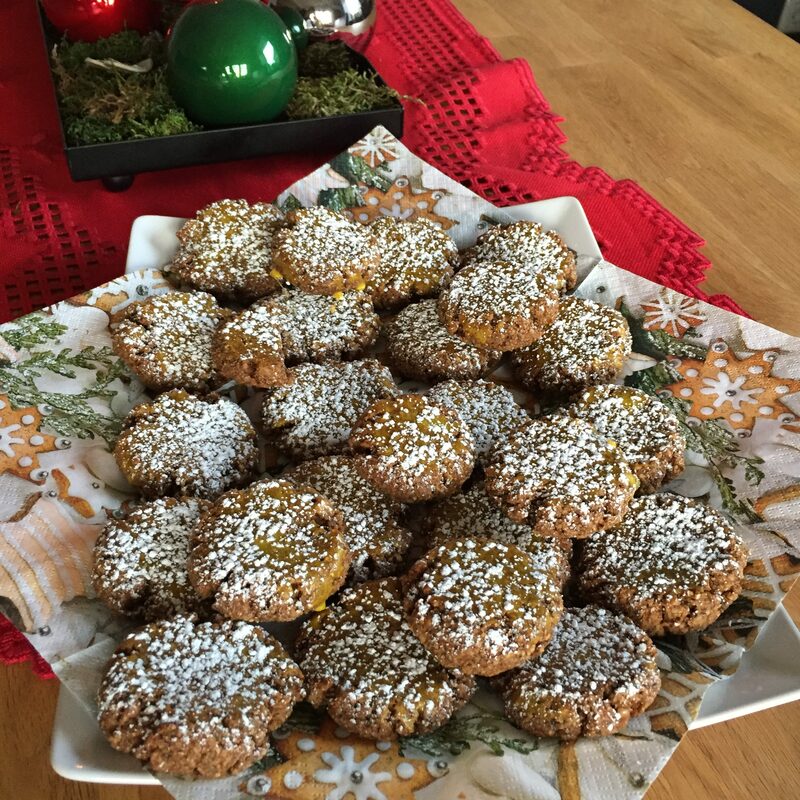 A gluten free recipe for cinnamon christmas cookies. Preheat the oven at 160°C and line a baking tray with baking parchment. Mix the chia seeds, water and the ground nuts together. Then mix the sugar, cinnamon and baking powder, before adding that to the main bowl. Separate the egg yolks from the egg white and add the salt to the egg white. Then mix it into the dough. Knead it with your hands and form a big lump. Make 2x2cm big spheres and set them on the baking tray. When everything is done take a table spoon and press the spheres down into tiles. If the dough sticks to the spoon, wet it with a little water. Bake it on the middle rail for 6 minutes, then brush them with the egg yolk. Afterwards bake them again for 8-10 minutes. Dust them with powdered sugar as soon as they’re out of the oven.